Calcon Constructors had the pleasure to partner with Yampa Valley Electric Association on rehabilitating their corporate headquarters in Steamboat Springs, CO. Over 11 months, Calcon gutted, remodeled and added a 6,000 SF heavy timber framed atrium to the two existing two-story buildings. The addition of the heavy timber framed atrium completely transformed the space and Calcon self-performed all of the heavy timber erection. 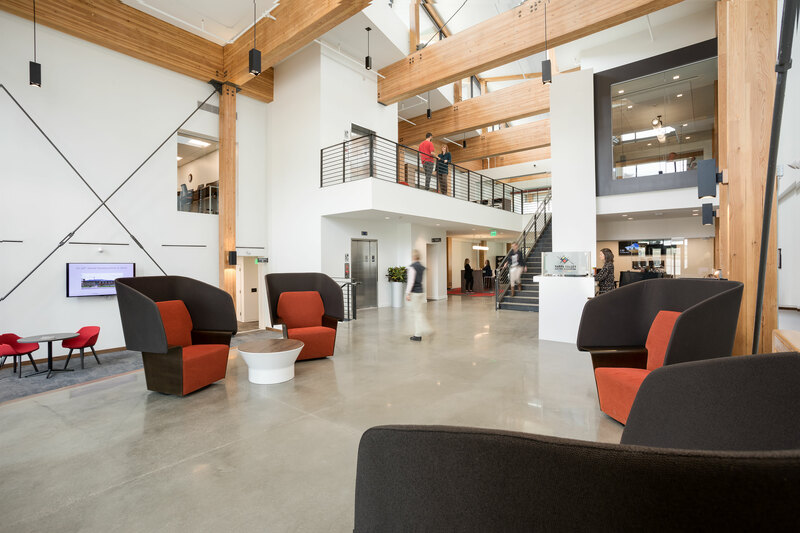 The new headquarters now connects the corporate offices with the field services for a shared working environment and experience.